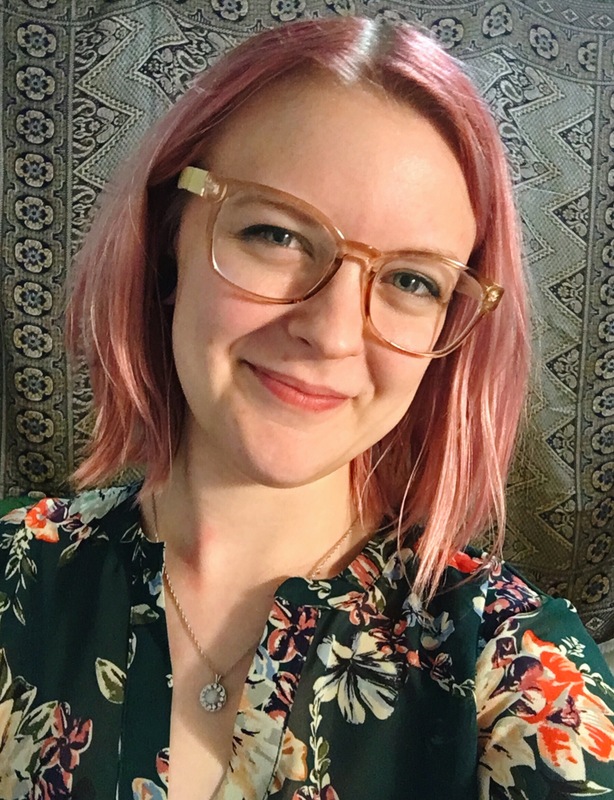 Kelli Yates is a dietetics student at Life University, Freelance Writer, and Podcaster. She is the creator of the class Well-Fed Survival: Eating Well After Disaster, and creator and co-host of The Nutrition Nerds Podcast. In her spare time, Kelli practices yoga, makes jewelry, and spends time in nature. Kelli is currently accepting new clients – contact her here. Everyone has their story of why they are where they are. This is mine. I grew up with some health problems – migraines, depression, eczema… none of it was disabling, just part of my young life. What would end up catching up with me in my early twenties was a health problem I didn’t even realize was abnormal – extreme discomfort and often outright pain that came just from eating. This pain was what I thought being “full” was all throughout childhood and into my teens. My parents will tell you that I used to spit food out the moment I thought I was approaching “full”, but this wasn’t a cute childish habit – it was an attempt to prevent the pain and bloated stomach that came from eating a normal amount of food. I was known among my friends as the one who ate like a bird (I won an “Eats Like a Bird” award in high school, thanks guys), and I was able to get by for quite a while eating this way. It worked for me, until it didn’t. After seeing a few more doctors and a naturopath to figure out what was “wrong” with me, after blood work and genetic testing and food allergy trials, I was still in pain and beyond frustrated. And now, on top of everything else, I had stopped menstruating. I felt broken, defective, and unfixable. The moment that changed my life was when I looked into the mirror and realized there was more looking back at me than my body. At this point I had been working out like crazy for a year, counting calories, eating “healthy” and I was still in pain, PLUS I wasn’t even happy with the lean, strong, amazing body I had achieved. I was deep in the throes of a secret binge eating disorder and miserably depressed. I thought to myself, if I can’t even be satisfied and healthy in this 110lb body, with this strict 1200 calorie-a-day diet, while completing intense workouts every single day…. I’m missing something huge. And I was. I went on a quest to figure out what I was missing and, through a long and winding path, I found it. I realized that I had been treating my body like something that needed to be controlled and manipulated, rather than a home that needs to be nurtured and listened to. And even worse, I was ignoring my spirit. I was neglecting the human being inside the body, the one that needs to be cared for and cherished and loved. So I started the slow process of unwinding my neglected spirit and abused body. I went to therapy. I learned how to stop the negative inner dialogue and perfectionism. I quit my job, and the next job, and the one after that. I took bubble baths and drank good wine and ate good chocolate. I started practicing yoga, and surrendering. I de-stressed, and de-stressed, and de-stressed some more. And in 2015, I made the scary decision to go back to school for dietetics so I that I could one day help people like me who think they are broken. It’s about the food, but it’s about so much more. It’s about the attitude with which you eat your food. It’s about loving the body you’re feeding, and loving the spirit that inhabits that body. It’s about taking exquisite care of yourself, not just to look good in a bikini but because you truly love yourself. When I learned these things… my body starting telling me what she needed, and my digestive problems started to resolve. It’s not magic (maybe it is)…. it’s love. This story is why I went back to school, because it is not unique to me. Women and girls starve themselves and hate themselves and blame themselves for having a body, for taking up space. I want to help stop that. I don’t want another woman to ever feel broken. This is my story so far, and I can’t wait to add to it. In fact, I’m doing that right now….